A photographer based in Geelong, Australia, Lynden has been capturing images since last century and producing digital art since 2004. Photography is his passion, and capturing images, particularly early in the morning gives him great joy. He describes the experience of editing a good photograph and seeing it develop into art as simply the best feeling in the world. Landscapes, seascapes and architecture are his main specialities. The quote from Ken Rockwell best sums up Lynden’s work - I’m creating art. I’m not trying to duplicate reality. Photography has never been able to duplicate reality, and if it could, it’s not art. My View is a chronological record of Lynden’s online posting and the title of this magazine is a play on the combination of his daily photos and words. 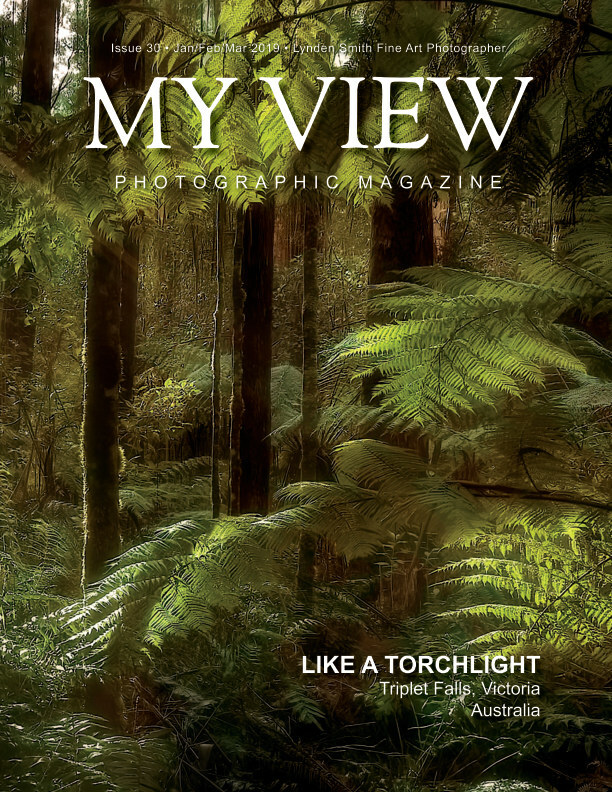 He hopes that you enjoy the images contained in this magazine and will follow his photographic journey in the next quarterly issue of My View. The daily blog and photo can be found on his website and also on Facebook, Instagram and Twitter.